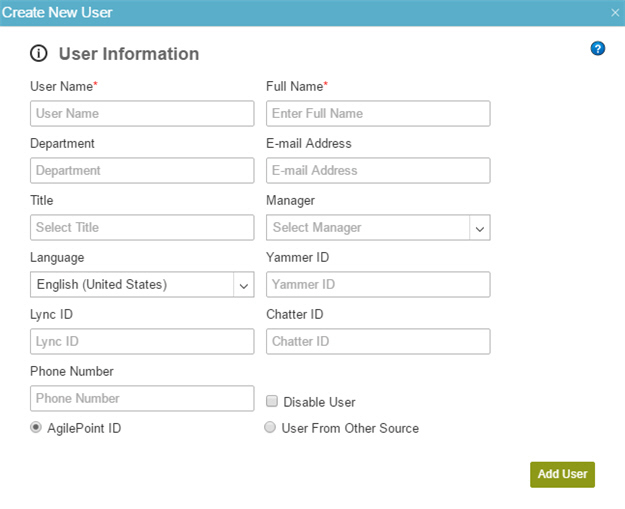 To add a new user to AgilePoint NX, do the procedure in this topic. On the Users screen, click Add User . To add a user with an AgilePoint ID, do this procedure. In the User Name field, enter the user name. In the E-mail Address field, enter the user's e-mail address registered with AgilePoint. To add a user from other source, do this procedure. Select User from Other Source.